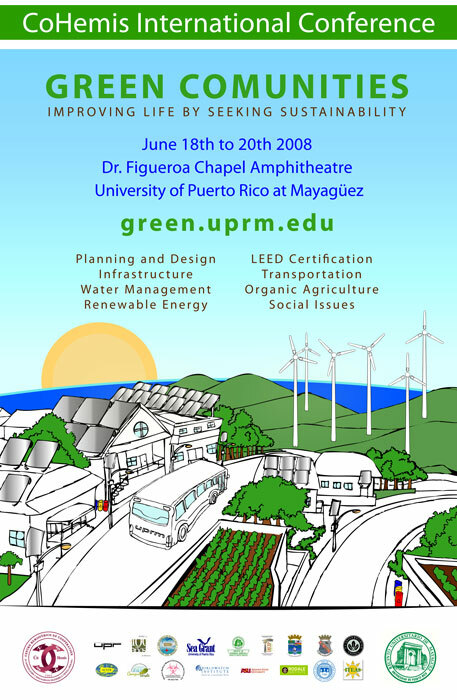 The Center for Hemispherical Cooperation in Research and Education in Engineering and Applied Science (CoHemis) of the University of Puerto Rico at Mayaguez carried out this event, in which the sustainable development of communities was discussed from an educational, social, scientific and engineering perspective. The conference had simultaneous translation in English and Spanish. Also, credits of Continuous Education were offered to all participants. People from different countries came to Puerto Rico and visited our Campus in order to learn more about this topic. We had well-known international engineers, architects, educators and scientists working in this field as speakers. It also represented an excellent opportunity to know more about the Puerto Rican culture, customs, traditions, and society. Thank you for being part of CICGC 2008!